In our last blog, we went over the basics of motor skill, both gross and fine motor skills. This week, we’ll take a close look at the role of fine motor skills and how you can help your child development. Fine motor skills are the driving force behind activities such as writing, dressing, making art and feeding yourself. Here are some activities that will teach and reinforce your toddler’s fine motor skills. The classic toddler toy of fitting triangles through triangle whole and circles through circle holes is a great learning toy. This toy introduces children to shapes and is an activity to develop fine motor skills. Being able to aim and manipulate the shape to fit through the appropriate whole involves cooperation between the brain and the muscles of the hands and fingers. Beginning shortly after their first birthday, toddlers will start experimenting with rudimentary writing skills. Many a parent has learned that their child has reached this stage the hard way, by finding a scribble on a wall, a date book, or the interior of their car. This is a normal stage and should be encouraged – in the appropriate context. This is the stage to hide the permanent markers and to buy No-Mess markers and paper so they can keep their marks on paper, and off your walls. Cherish your child’s accomplishments, for they are the building block of they people they will become. 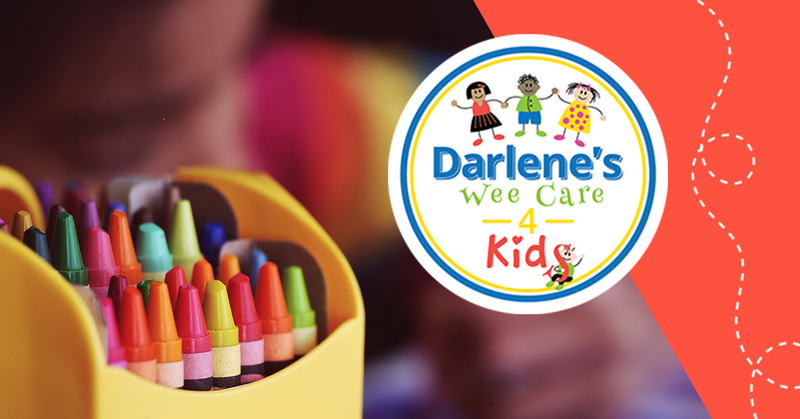 Darlene’s Wee Care 4 Kids is dedicated to helping your child develop the skills they will need to be successful adults. Call today for a tour of our facility.